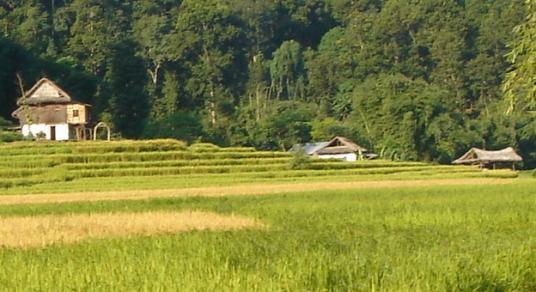 Arun Valley is blessed with an incredible diversity of natural beauty and culture. Arun valley extends between two highest mountains, Everest and Makalu. It is really a non touristic area but we can see significant views of Mt.Everest, Makalu, and hundreds of other mountains just on our eye. Sherpa, Rai and Limbus are the main inhabitants of this region. Walking north up the Arun river to Sedua and Num, then crossing Barun La(4110m.) into the upper Barun khola valley for a close look at Makalu. You can put together even wilder trek by crossing Sherpani col and west col into the upper Hongu valley. The highest point of this trek is Salpa Bhanjyang and also we can visit Hindu holy called Salpa Pokhari(3414m.). Day 02 : Kathmandu Valley city tours and preparation for Arun valley trek. Day 03 : Flight from Kathmandu to Tumlingtar then trek to Kartike. Day 04 : Trek from Kartike to Gothey. Day 05 : Trek from Gothey to Salpa Phedi (1680m). Day 06 : Trek from Phedi to Gurase Bhanjyang (2500m). Day 07 : Trek from Gurase to Sanam (2850m). Day 08 : Trek from Sanam to Bung. (1900m). Day 09 : Trek from Bung to Gai kharka (2300m). Day 10 : Trek from Gaikharka to Vasme. Day 11 : Trek from Vasme to Pangum (2850m). Day 12 : Trek from Pangum to Painya (2830m). Day 13 : Trek from Painya to Lukla. Day 14 : Trek Lukla to Kathmandu 1300m.